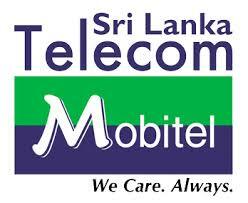 Buying a Sri Lanka SIM card in Sri Lanka is easy and rates to call India are low. When purchasing Prepaid Sri Lanka SIM Cards, registration is a prerequisite by the regulator. You may need to prove your identity by showing a passport. A digital photograph of you is taken at some stores. If you do not wish to be photographed, please produce a recent passport-size photograph conforming to passport specifications. When you arrive in the Sri Lanka at Bandaranaike International Airport near Colombo, you can see counters of mobile companies at the Arrivals Lounge such as Dialog, Mobitel, Etisalat ,Hutch and Airtel. A map of airport lobby can be seen by this link for ease. In the city, Mobile outlets or authorized partner retail outlet located island wide. You can top-up cards and electronic top-up at any retail outlet on the street or via International top-up partners using your international Credit/ Debit card via PayPal on Ezetop. Please top up Rs 500 to the SIM card to get above packs. Please top up Rs 1000 to the SIM card to get above packs. Of course if you would rather buy the SIM before travel so that you do not have to go hunting, or would like to know your number before you travel, we have a prepaid Srilanka SIM card for you!